But, no matter the reason, the reality of losing your home can be devastating. So, just what do you do when your home is facing foreclosure? One of the first steps is to enlist the expertise of a bankruptcy attorney to help you work through the process. 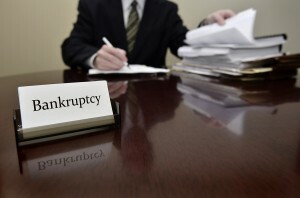 It’s possible that the thought of filing for bankruptcy never crossed your mind before. Maybe you’ve never believed that was something for you. In fact, it might be a step you don’t need to take. But, a knowledgeable bankruptcy attorney can help you decide if that’s the best way to help you keep your home. If you are facing foreclosure, hiring an attorney really can help you every step of the way. Be a go-between between you and your mortgage lender. In this capacity, your attorney can handle those difficult phone calls with banks that won’t listen to your story or seem unwilling to work with you. Your attorney knows which questions to ask, and who to ask them to. And, your attorney can make sure that your mortgage lender does not take advantage of you in the middle of a stressful, confusing, and difficult time. Halt or postpone your foreclosure. Your attorney understands the legal jargon concerning home mortgages, loan defaults, and refinance situations, and may be able to slow down the foreclosure process. This can provide you, -the homeowner- with the time you need to straighten out your financial situation and resume making your payments. Assist you in filing for bankruptcy. Although this may seem worse than a foreclosure, in reality, filing for bankruptcy as a last resort could be the best option available for your situation. If this is an avenue you choose to go down, your attorney will work diligently to help you keep your house if possible, and he will assist you in minimizing the damage to your credit and finances. Ultimately, your Toledo bankruptcy attorney is there to help you keep your American Dream alive. After all, your house isn’t just a building. It’s a home where you build memories, laugh with those you care about, and find a sense of belonging. It can be a symbol of hope and safety for so many Lucas County residents. Don’t give up yet. To learn more about preventing your home from going into foreclosure, please contact me today. I care about your story and want to hear what you have to say. I will provide you with the clear communication, complete confidence, and experience you deserve during this difficult time. Call today to schedule a free, confidential case evaluation and get the answers you need for your questions concerning house foreclosure.